Breathing dirty air isn’t good for your health, and it’s not good for the health of your home furnace, either. When dust or other debris makes it into the furnace’s inner workings, it can cause inefficiencies and damage. That’s why furnaces have air filters to clean the air coming into the furnace blower. 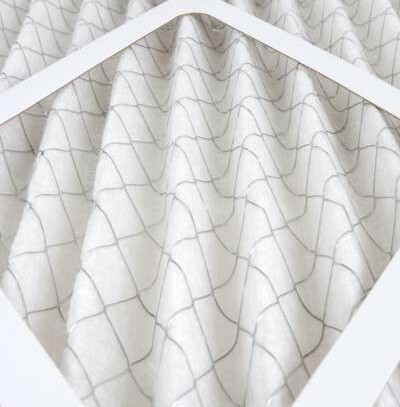 Because indoor air is naturally polluted with hair, pet dander, dust and other airborne particulates, a furnace filter will gradually clog over time. When the filter becomes clogged, less air is blown through the system, and the fan motor has to work harder in order to force air through. This can cause higher energy bills, lower circulation through your home and eventual system damage. For this reason, homeowners should be sure to change the air filter once a month. When you change an air filter, you have a variety of options to choose from. Within the range suggested by your furnace’s operating manual, you may want to choose one with a higher minimum efficiency reporting value (MERV). A highly related filter can deliver a boost to your indoor air, but if the furnace motor isn’t capable of handling the airflow requirements of a high-efficiency filter, or you want to really take control of your indoor air, you may want to consider installing a dedicated air cleaner. Some air cleaners, such as electrostatic cleaners and sterilizing UV lights, fit unobtrusively inside your ductwork. Others, such as high efficiency particulate air (HEPA) cleaners, may require a standalone installation. HEPA filters, however, are the industry standard for locations like hospitals and can be a big help if you have household members with respiratory issues.